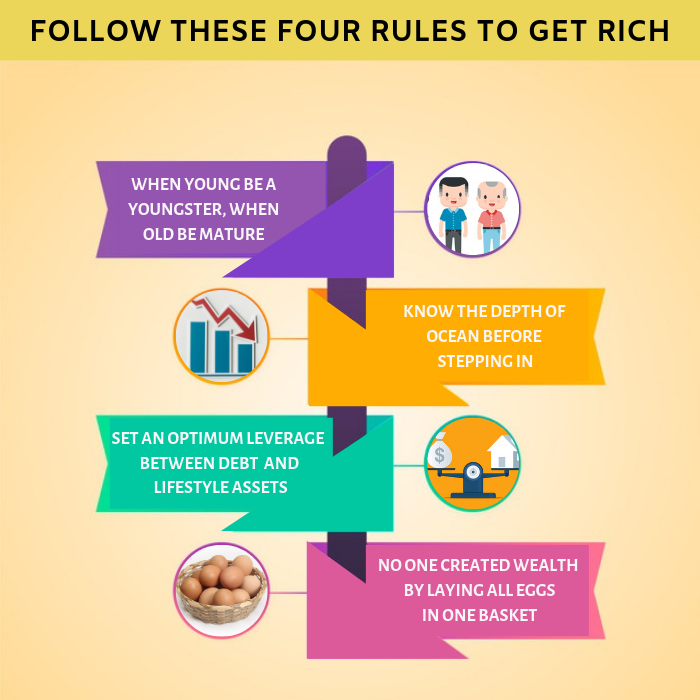 Follow these four rules to get rich! Funds which looks for capital appreciation by investing in large cap, mid cap and/or small cap companies are called Multi Cap Funds. A market condition where prices of the securities are raise faster than the historical average due to economical recovery or investor psychology. 1. When young be a youngster, when old be mature. Some youngsters are easily influenced by the ideas, advice and experiences of others, like Vijay, 27 years old, believed in safe and secure investments in fixed deposits in banks and companies, just because his father lost heavily in the share market. However Rahul invested in mutual funds and created more wealth. Youngsters in their 20’s should invest in stocks and shares as they can afford to wait and benefit with compounding effect and lower taxes . Likewise an old person should play mature and responsible and invest in safe and secure investments like big cap mutual funds . Investment risk calculation of each portfolio helps judge risk. Your age, appetite for risk, and length of investment decides your investment Portfolio. M.R. Kopmeyer said, The great road to wealth is to learn useful facts”, how true it is that many investors had lost heavily in future stock selling in a bull market without much knowledge. A safer investment would have been Multi Cap Funds mutual funds with wealth creation period of 10-15 years. However senior citizens should invest in big cap mutual funds with much lower allocation. 3) Set an optimum leverage between debt for wealth creation and lifestyle assets. There is an urgent need for quick wealth creation to meet inflation demands, but we need lifestyle assets like car, TV, furniture and a house to live in. 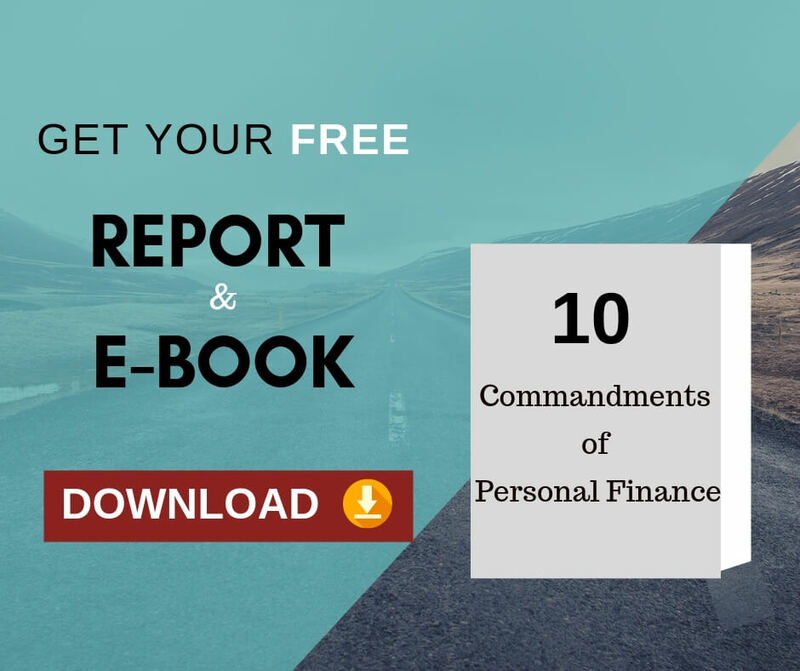 Unplanned debt can be a barrier to your wealth accumulation process. It is true with easy debt options available, there is a choice to borrow for lifestyle assets alone or for also for wealth creation investments like real estate. In addition, payment of EMI leaves youngsters with less capital to invest in wealth creation assets. In addition, leverage requires not investing in same type of assets like land and house, as price fluctuations could adversely affect all in that type of asset. Also investing on lifestyle comforts pay nothing in the long run. 4) No one created wealth by laying all eggs in one basket. Variety is the spice of investment decisions too, helping in diversifying risks, and making it possible to offset the fall in value of one asset by profits in another. So having a diversified portfolio of real estate, gold, shares, mutual funds and house, and avoiding investment just in one asset class helps. In addition, portfolio diversification proves effective in tax saving, and better wealth creation. Now finally you too are on the path to being a high networth person. How do you view yourself?